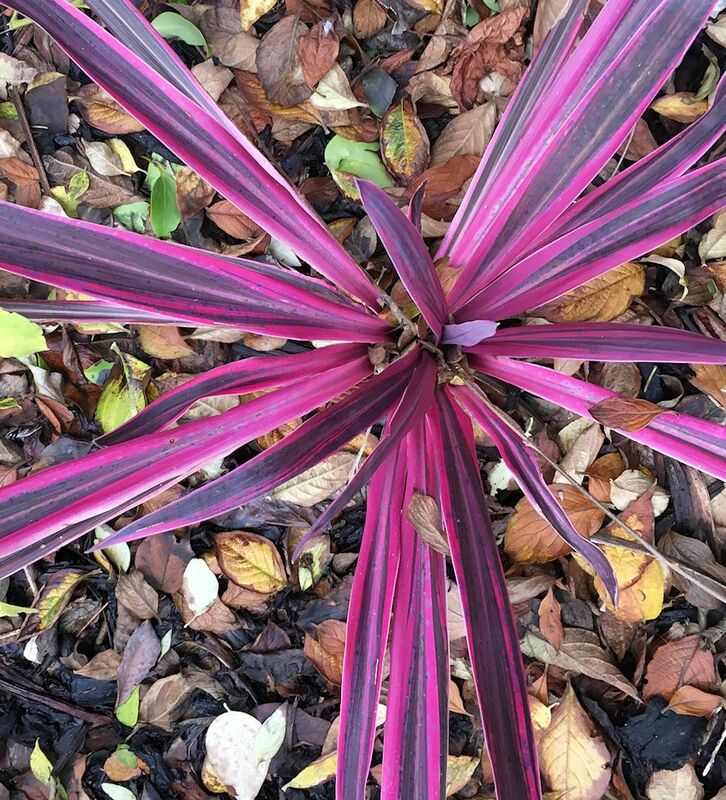 This purple palm plant is one of my favourites, how cool does it look with the autumn leaves in the background. 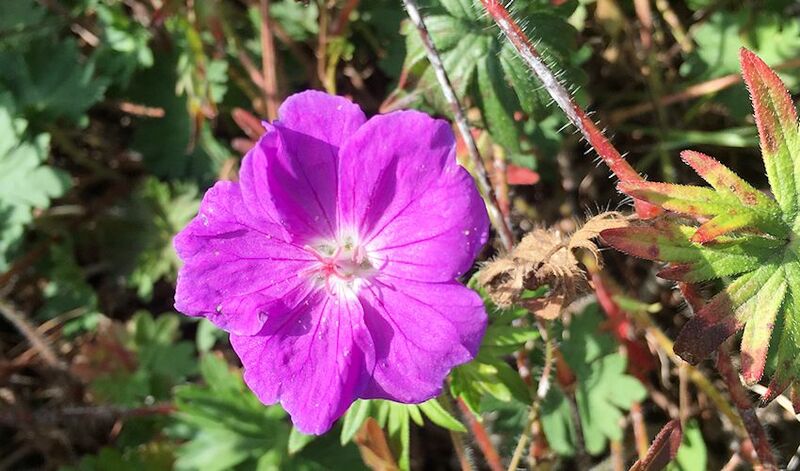 The purple geranium that was still out in flower last month. A tubful of autumn flowers, how cute are they?! 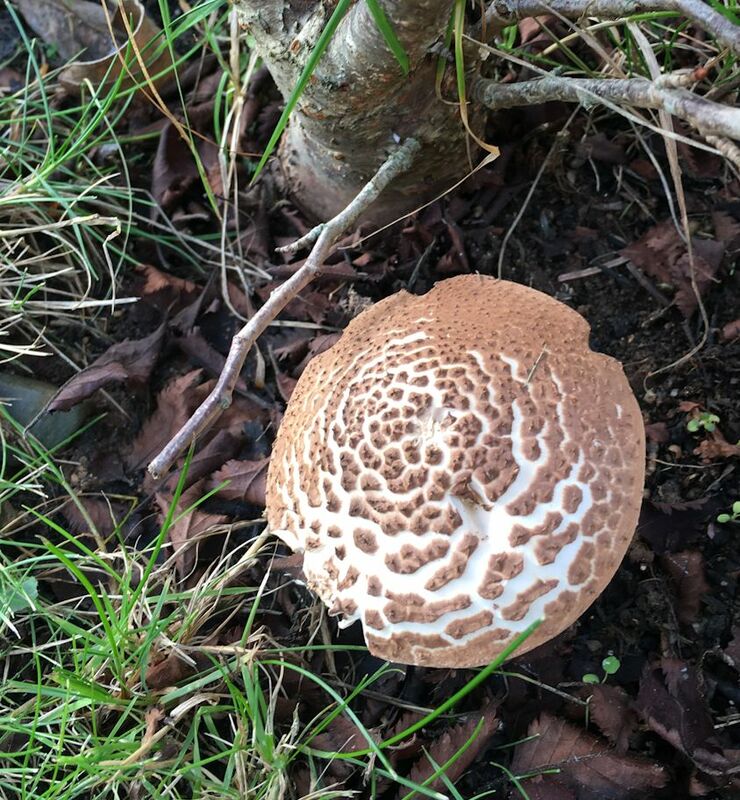 The blossom bush appears to have gained a wild mushroom next to it, I thought this one looked pretty cool so I decided to get a photo of it. 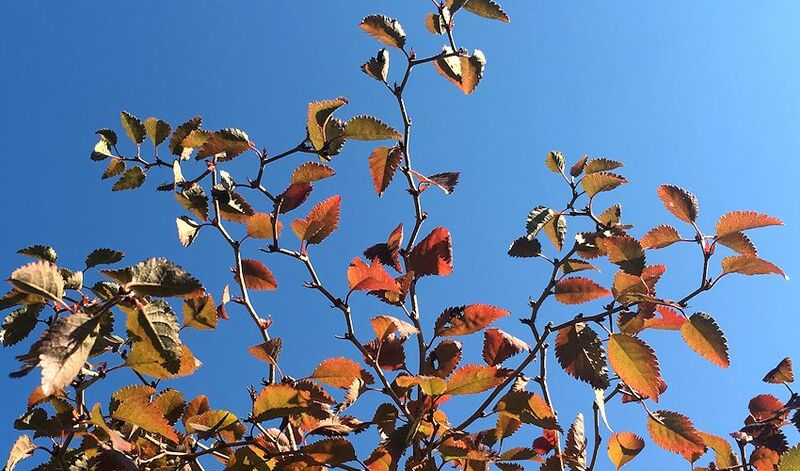 Autumn looking leaves (on the blossom bush) with blue sky in the background. Autumn leaves are one of my favourite things about autumn and I love how this photo turned out. 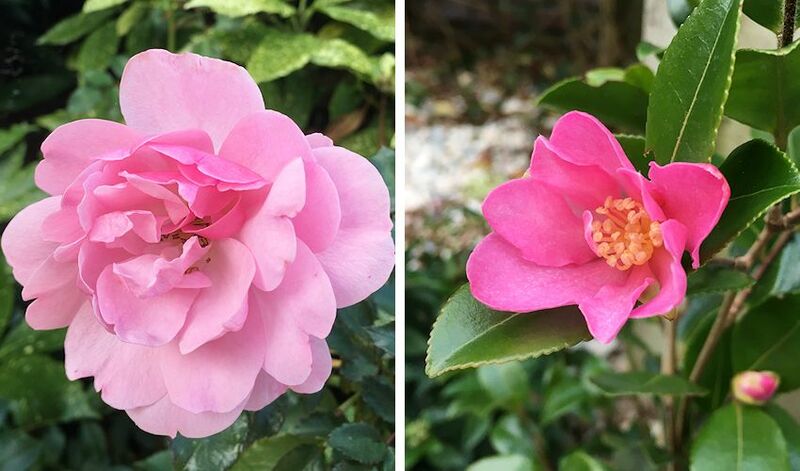 A couple of pretty pink flowers, a rose that was still flowering last month and one that looks like a mini camellia? The most berry filled set of pictures of this blog post. 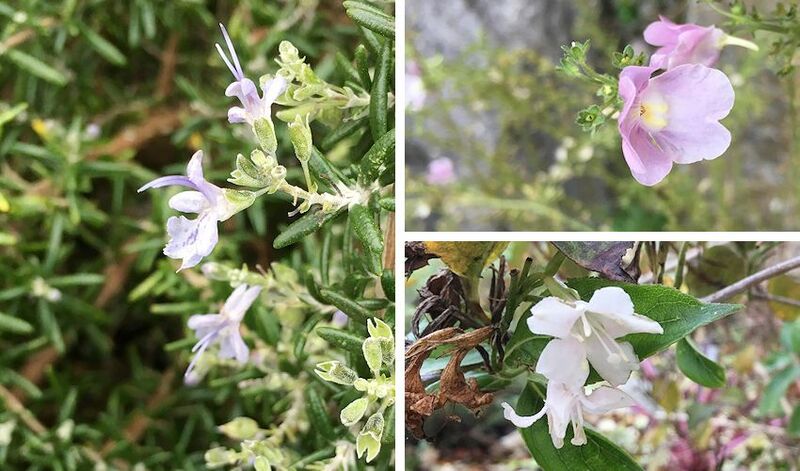 Random fact of our garden – the bottom left one is nicknamed bad hair day because it always grows a bit wild! 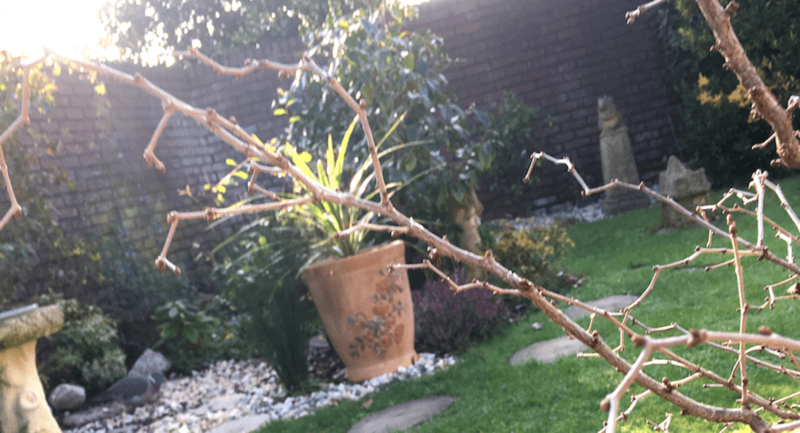 At the front of the picture is one of the more recent additions to the garden – a berry plant and the picture behind it is of the blossom bush, it’s lost all it’s leaves now. On the left is some small mauve flowers currently out in flower. 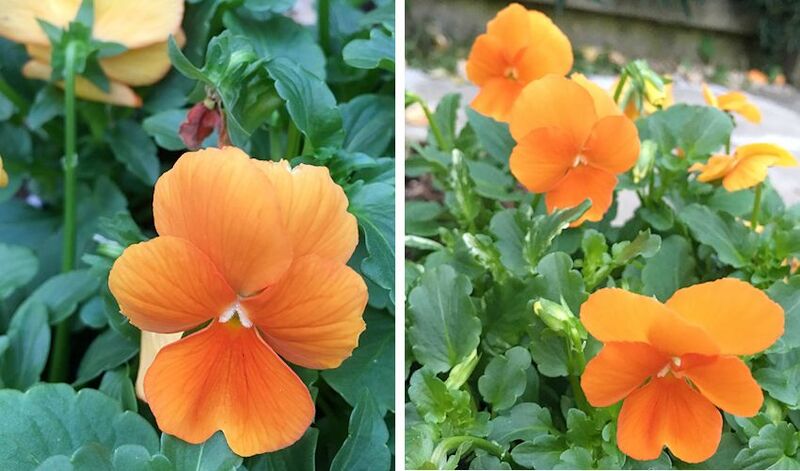 Also, the top right photo – I included this plant in a blog post back in the summer – Summer In The Garden they’re still out in flower now. Wow! I absolutely love these. Bottom right – wait, whaaat? There’s blossom out in November?! 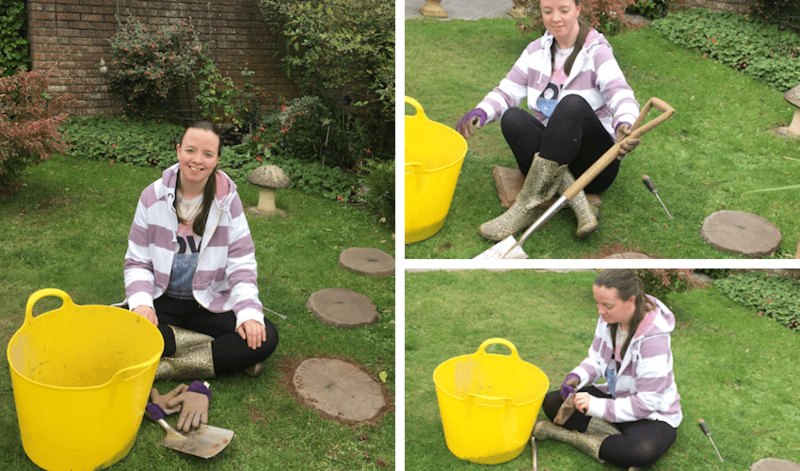 Photos from when I was laying paving slabs in the lawn in the garden in October. I don’t really know what I’m doing in the top right photo haha. …And a photo looking across the garden. 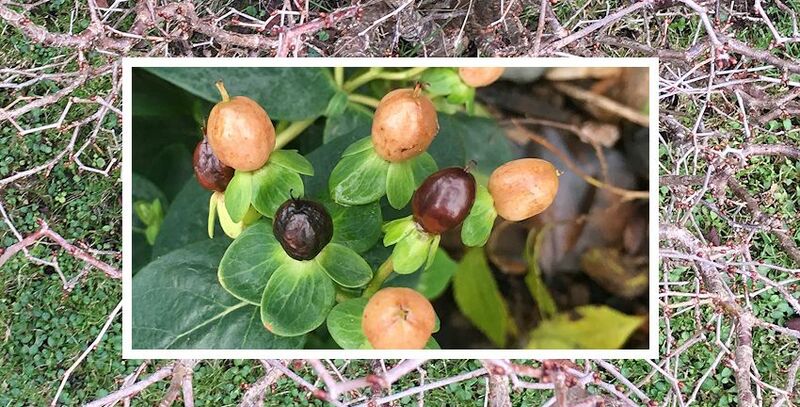 The quality of this photo isn’t the best, I was randomly taking a photo of the wood-pigeon that came down for food while I was out there getting a photo of the mushroom but I kinda like how it turned out with the branches going across the photo so I thought I’d add it into this blog post. 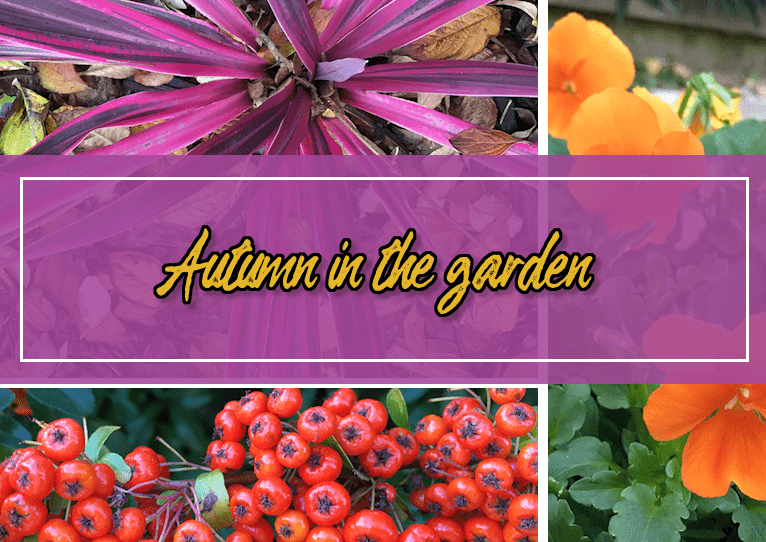 What’s your favourite thing about autumn in the garden? Thanks Lisa, yep the garden birds do love it. The rose plants did really well this year, so many flowers. Your garden looks wonderful. I love that purple palm plant, I need to add something like that in my garden – though I’m not sure if it would like the cold temperatures here. As far as I know the greener ones do better in harsher weather conditions, I know our one went a bit off colour when we had snow earlier in the year. Thanks Sarah! 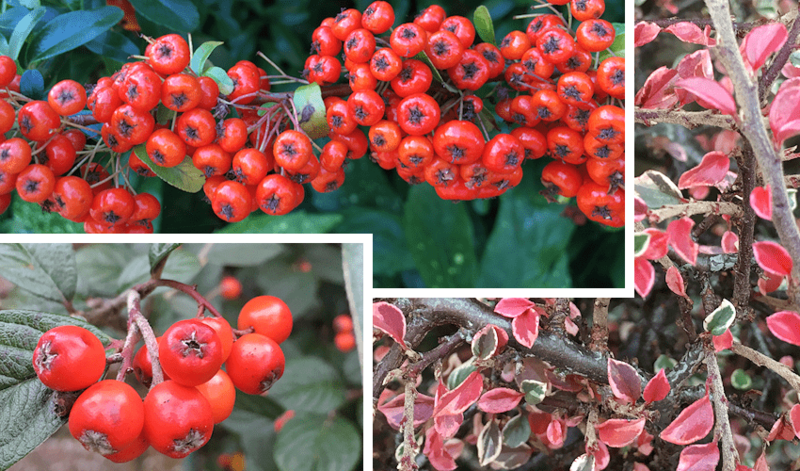 Such vibrant colours for Autumn! I usually just think everything is going to be brown and orange but those purples are gorgeous! I think it actually surprised me when I went round taking photos just how vibrant the colours have still been this autumn. Thanks Jenny! Me too, I love autumn walks. Thanks Chloe.